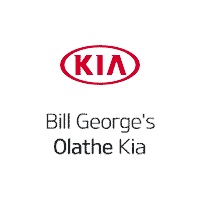 With Bill George's Olathe Kia by your side, your search for auto parts in Olathe is a breeze! Proudly serving customers from Olathe, Lenexa, Overland Park, Shawnee and Kansas City, Bill George's Olathe Kia knows what a hassle it can be to find the right Kia car parts in the Olathe area for your Kia Optima, Soul, Forte, Sorento or Sportage. That’s why our team aims to reduce the time you spend in search of the proper component by staffing an onsite auto parts department. Our team is well-versed in every aspect of the automotive industry, which means you can count on us to locate the exact part you need for an auto repair near Olathe. What’s more, if we don’t have it in stock, we can order it for you. It’s all a part of our commitment to serving your needs above all else. If you’d like to see what our parts department can do for you, please contact us today. Your privacy is important to us. Bill George's Olathe Kia takes your privacy seriously and does not rent or sell your personal information to third parties without your consent.